A University of Oklahoma men's basketball player has been charged with a felony count of aggravated assault and battery on Wednesday. According to court documents, a formal charge has been filed against 22-year-old Akolda Manyang. At about 3:40 a.m. on May 1, Norman police responded to the report of an assault on Campus Corner. The victim, later identified as former OU football player Tyler Evans, told police he had injuries to his face, including swelling, a lacerated lip, and two missing teeth, which he said were knocked out from a punch. Evans said he and three others were walking between O'Connell's Irish Pub and Chipotle when Manyang approached them and began to "hit on" one of the women. Evans said he stepped in between the woman and Manyang, and told Manyang that she was not interested. Evans said Manyang was mumbling something as he walked away. So he told Manyang to, "Chill out, bro." That's when Manyang reportedly punched Evans in the mouth with a closed fist, knocking out his two front teeth. After throwing the punch, Evans said Manyang left with a few others. 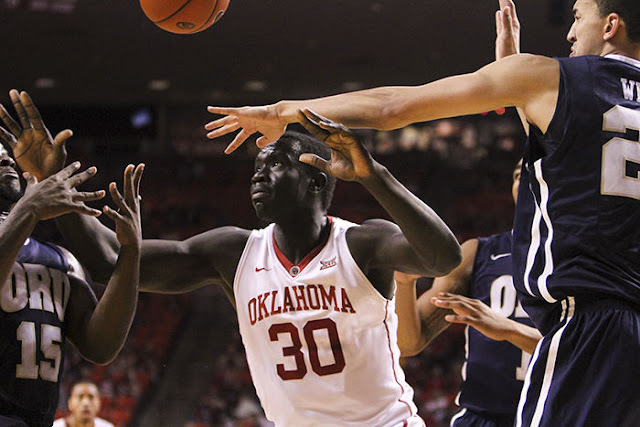 (News9) Akolda Manyang has been suspended indefinitely according to University of Oklahoma athletics spokesperson.